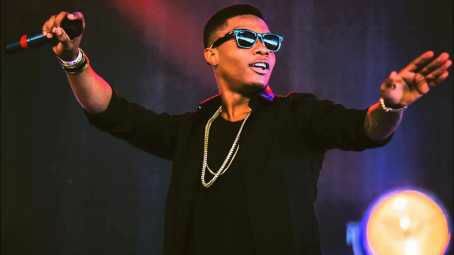 Nigerian pop star Wizkid has spoken up about the coming election and he had a few things to say. The Starboy Entertainment boss urged Nigerian to make the right decision when they head to the polls during the weekend. He said Nigerians shouldn’t be sentimental about who they vote neither should they be swayed by others. He also asked politicians to quit joking with the populace. “Politicians stop joking with people’s lives. You are responsible for the lives of millions of people and your decision affects all. Help make Nigeria a better place”. The singer also advised against voting a candidate “because a paid celebrity endorsed them”. 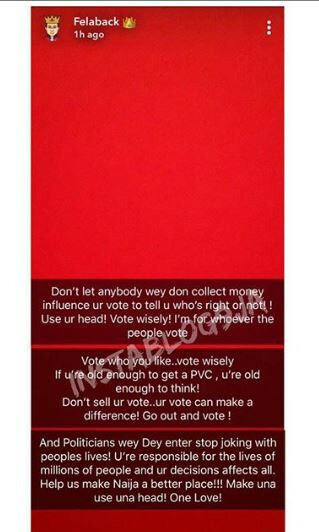 “Don’t let anybody wen don collect money influence your vote to tell u who’s right or not! Use your head! Vote wisely! I’m for whoever the people vote. “Vote who you like…vote wisely. If you are old enough to get a PVC, you are old enough to think! Don’t sell your vote…your vote can make a difference! Go out and vote,”.